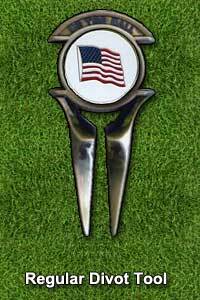 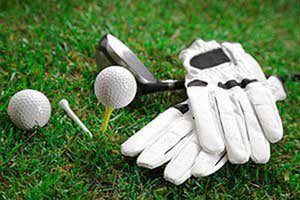 Looking for a U.S. flag divot tool to show your American pride on the golf course? 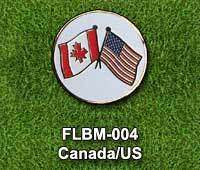 Choose your favourite U.S.A. waving flag ball marker and add it to one of our 2 golf divot repair tools. 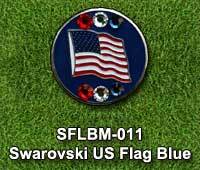 These waving U.S. flag ball markers come as either a regular ball marker or with Swarovski Crystal embellishments. 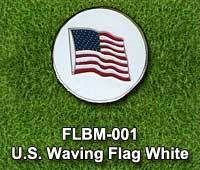 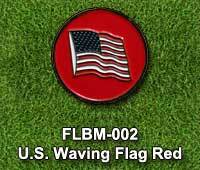 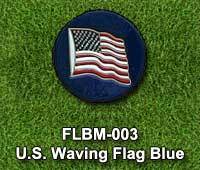 Waving U.S. flag on blue, red or white background regular ball markers. 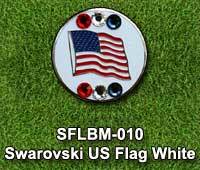 Waving U.S. flag on blue or white background with red, white and blue Swarovski Crystals golf ball markers. 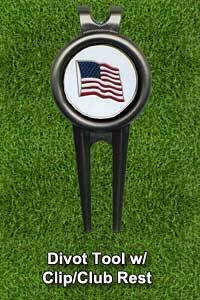 Your US flag divot repair tool is a great way to celebrate National Flag Day in June or any time.